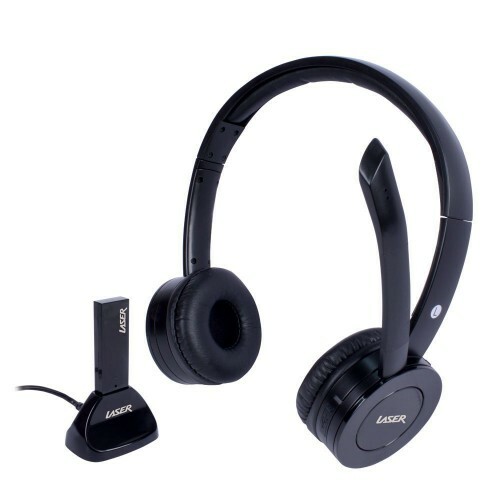 High quality headset for music or conversing. Compatible with VOIP software such as Skype and MSN. Utilising range hopping 2.4GhZ, this headset sits comfortably over your ears (adjustable headband) placing the adjustable microphone boom right in front of your mouth. So no matter how noisy your enviroment, you will always have a clear conversation. Powered by an in built rechargable lithium ion battery it comes with auto power off, and adjustable volume control allowing you to walk and talk at the same time.